OPEN A BANK ACCOUNT: need to open a Thai bank account in Pattaya? J&E can help you jump through the hoops and get that essential Thai bank account you need to do your daily business in Pattaya. We will act as your personal assistant, solving your problems, dealing with licences, visa issues, household and business services… saving you time and making your life in Pattaya that bit easier. 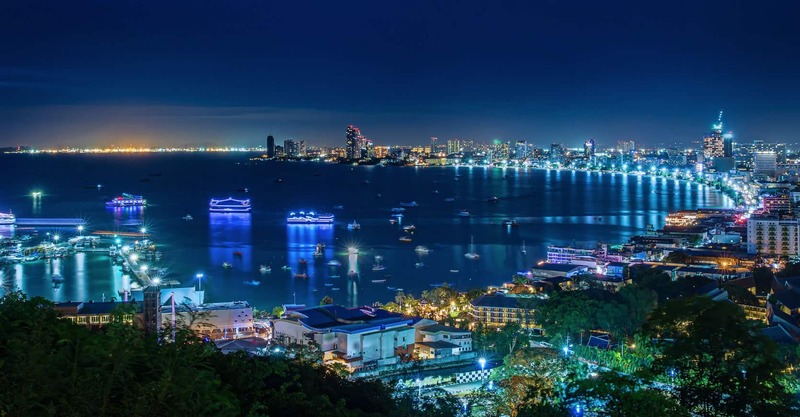 REGISTER A COMPANY IN PATTAYA: New company registration for Pattaya and Jomtien businesses only 17,000 THB. Open a Thai company for only 17,000 thb. Let J & E get your new company registered with the Thai authorities, we cut through the red tape and let you concentrate on opening your new business in Pattaya. The high season will soon be upon us. Does your condo, house, villa or office need a good clean before the madness starts? We have a full range of domestic and commercial cleaning services available to you in the Pattaya and Jomtien area. Do you have the correct Hotel Licence for your Pattaya Hotel or Guest House? Many Pattaya hotels are being targeted by police for not having the correct Hotel licence to operate a hotel and comply with the Hotel Act Thailand approved by the King. When you use the J&E Real Estate service, saving you time and giving you what you want is our priority! Your life in Pattaya just got so much easier, thanks to J & E Concierge Pattaya. J & E Concierge Pattaya has a great range of services available to you. J & E Concierge caters to clients with active personal, business or social lifestyles. With just one click, call, or email, your tasks can be done, your arrangements made, your planning completed, leaving you with more time for the things you really want to do in the beautiful city of Pattaya. Founded in 2004 and originally an accounting and auditing business, in which during this time we developed an unparalleled network of contacts that have allowed us to expand our services to cover all of your needs whether resident or on holiday. J & E Concierge is located in Pattaya Thai, near Third Road and Friendship Supermarket. Visit our contact page to view the exact location of J & E Concierge. J & E Concierge Pattaya offers an extensive range of carefully chosen services, giving you the peace of mind that arrangements will be made for you efficiently and with no hidden costs. J & E Business services include Accounting, Auditing, Book keeping, Company Registration, Land, Legal, Insurance and Social Security matters. J & E Concierge Immigration services including all types of Visas and Visa Runs and Translation. J & E Concierge covers all of your transport needs, including Taxis, Car and Motorbike Rental, Driving School and Licences. J & E Household services include Cleaning, Moving, Maintenance, Pest Control. J & E Concierge Feel Good services include Spa Packages, Day Trips and Yacht Charters. J & E Media and Marketing provides Web Design, Marketing and all of your Printing needs can be taken care of. Give us your list of errands and J & E Concierge will make it happen. Why use J & E Concierge Pattaya? A concierge service is not for everyone – some people will always choose to do things themselves. Others will enjoy spending hours on research, and some will feel they just don’t need external help. If that does not sound like you, your time is valuable, you’re in a hurry or you just want the best deals in Pattaya? Then J & E Concierge can definitely help you. Concierge services are mainly for people who lead busy lives, who want or need someone to help with running their lives. It’s also for people who want great service and for people who want to be able to access exclusive events and services. What makes J & E Concierge special? We have negotiated with our network of partners and providers exclusive discounts for you. We insist that our carefully selected partners conform to the highest performance and share our commitment to quality and efficiency. We are prepared to help you with everyday issues to the extraordinary, so you can focus on the more important things in your life. Why are we the premier concierge services ? We offer today’s most priceless commodity – your time. With just one click, call, text or email, your tasks can be done, your arrangements made, your planning completed, leaving you with more time for the things you really want to do.